Microsoft SharedView - Safely share views of your screen with friends ~ Android Forever! 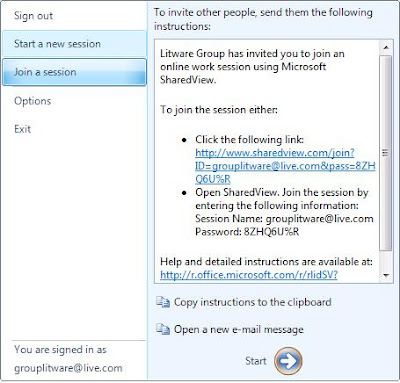 "Microsoft SharedView is a fast, easy way to share documents and screen views with small groups of friends or coworkers; anytime, anywhere. Use SharedView to put your heads together and collaborate - create, convey, and communicate…across physical boundaries, through firewalls, and down to the smallest details."